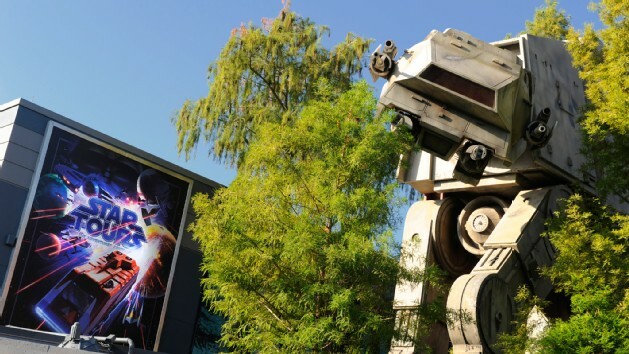 With the new Star Tours movie soon approaching Disney has finally announced when the updated Star Tours: The Adventures Continue will open at Disney’s Hollywood Studios. This revamp of the attraction will most likely turn an already popular attraction into the park’s most popular attraction which I would guess would rival Toy Story Midway Mania. Hit the jump for details on the opening and for a video sneak peak of the new sequence. With all the construction set to begin soon & the addition of Star Wars Land on the horizon Disney has decided to axe one of Hollywood Studio’s most popular events. 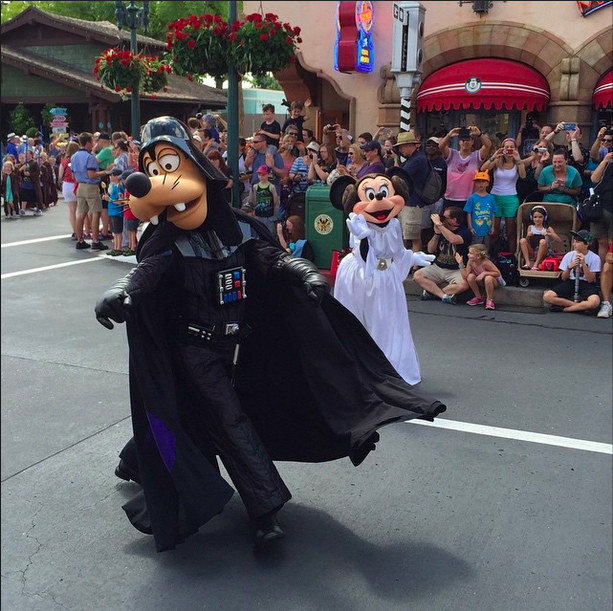 Star Wars weekends has been discontinued with 2015 being it’s last year. Disney is saying that since more and more Star Wars content will be coming to the parks guests will be able to enjoy the Force every day rather than a few select weekends during the year. Hopefully they will do Star Wars themed events during the year since having the entire park devoted to Star Wars was pretty cool. I guess we’ll just have to wait and see what impact Star Wars Land has on the park. Just like Mickey’s Not So Scary Halloween Party Disney has exclusive merchandise & treats only available for the party. Mickey’s Merry Merry Christmas party is no exception to that rule. Unfortunately for my wallet, I plan to be picking up some of these exclusives and maybe a treat or two. It’s the holiday’s after all! This is no time to watch my weight!! Hit the jump for details on what you can expect to bring home with you from Mickey’s Very Merry Christmas Party. Disney sure knows how to move quickly! They managed to transform the Magic Kingdom from Fall to Winter overnight! The Magic Kingdom is already decked out in holiday goodness and is ready for the first Mickey’s Very Merry Christmas Party on Sunday, November 8th. The Main Street USA Christmas tree has also managed to make an early appearance this year! Normally Disney waits until after the ABC Christmas Day Parade is filmed. I assume this is done so they can get a nice crane shot of the Castle from the Town Square (I’m a video nerd so I can’t help but analyze these things!). 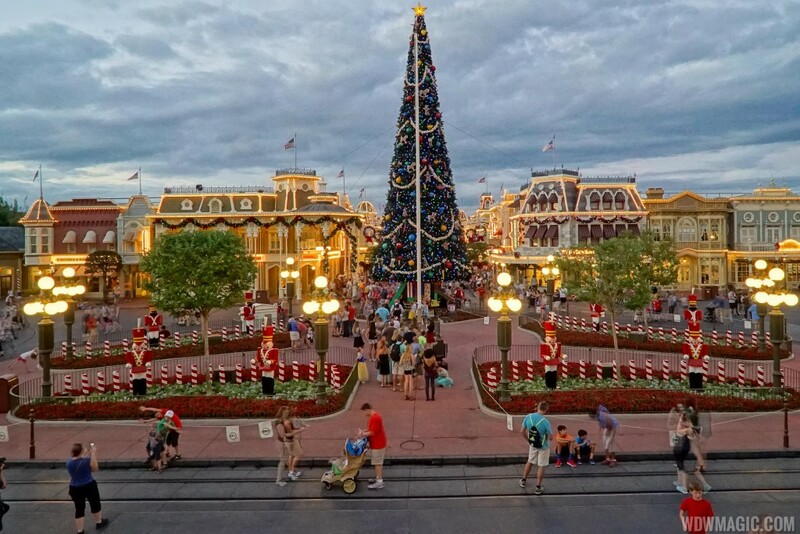 The redesigned hub has also added to Magic Kingdom’s Christmas spirit. The newly built turrets are now covered in lights just like Cinderella Castle. I think they look amazing & I can’t wait to see it in person. I’m excited that the Magic Kingdom was transitioned so quickly and early. I’ll be visiting in mid November so it’ll be nice to see the Magic Kingdom in full holiday swing. Hit the jump for more photos! Halloween has just passed less than a week ago and Disney has already started the transition to the next holiday season. The Osborne Lights are already lighting up the nights at Disney’s Hollywood Studios and the next event is just around the corner. 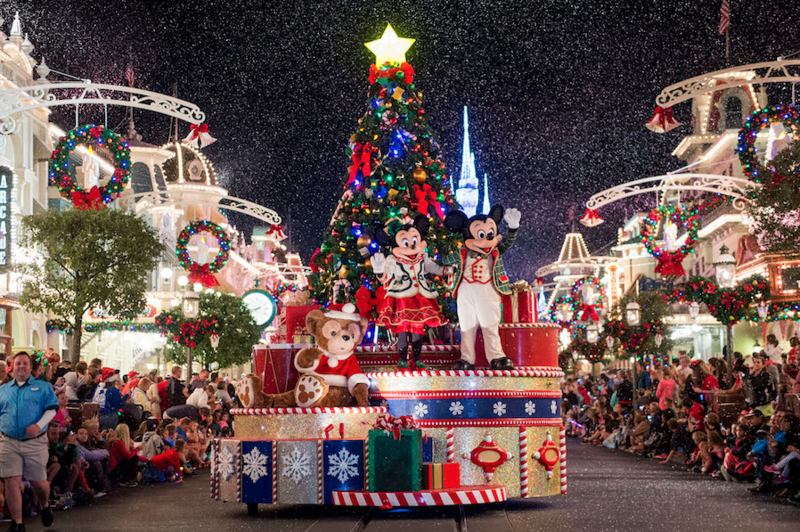 Mickey’s Very Merry Christmas Party begins on Sunday, November 8th & runs on select nights through December 18th. It’s held at the Magic Kingdom in Walt Disney World Resort. Hit the jump for more details about what to expect at this year’s party! 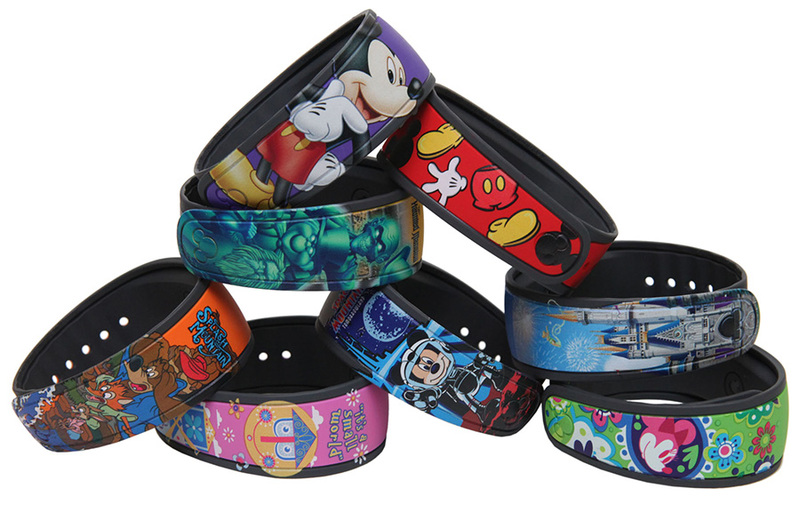 Getting tired of the single color MagicBands and wishing you could customize a retail MagicBand? Well now you can finally live out those MagicBand dreams at Tomorrowland Power & Light Co.!! 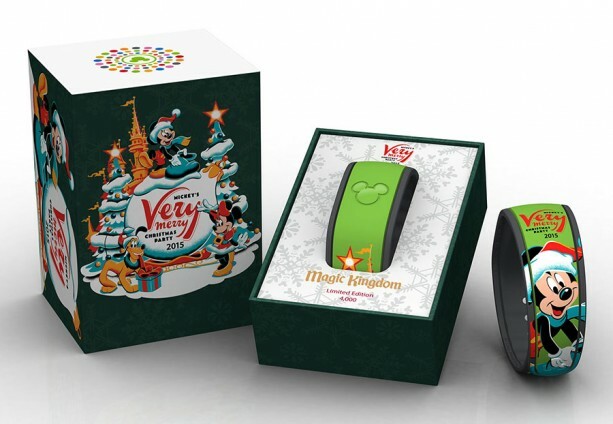 Disney is now offering guests the ability to create custom MagicBand creations and they’re actually really nice! You could even get your hands on a purple MagicBand which isn’t one of the colors offered to resort guests. Hit the jump for more details on what you can create in Tomorrowland. Disney has finally announced when Soarin’ will be closed for refurbishment and conversion to the newly announced Soarin’ Around The World. Soarin’ Will be down from January 4th through sometime in the summer of 2016. During this time the third theater will be finished and the projection and audio system is expected to be updated to fit with the new experience Disney wishes to bring with the “new” ride. Disney fans have complained that the attraction doesn’t live up to the audio & video standards of today and that those issues take away from the immersive experience that Disney is trying to produce. Hopefully this long refurb will help make the attraction great again. 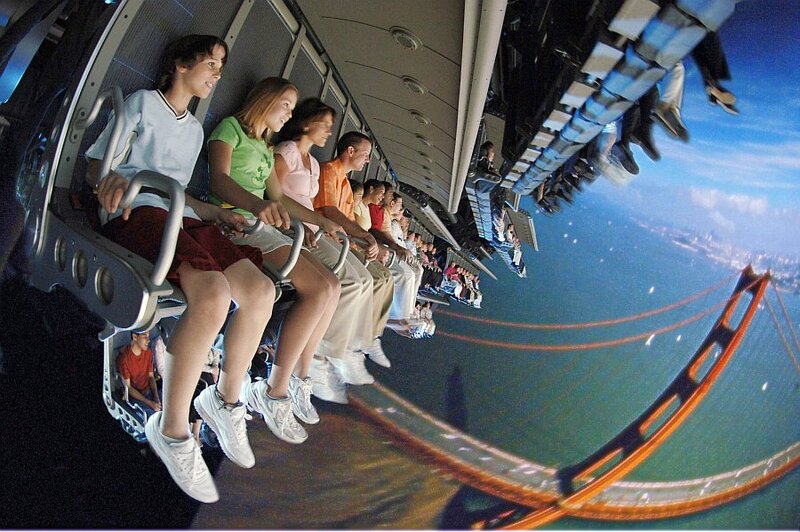 I rode Soarin’ last month and did notice that the projection system could use an upgrade but I still loved the experience as much as the first time I rode Soarin’ Over California at DCA.